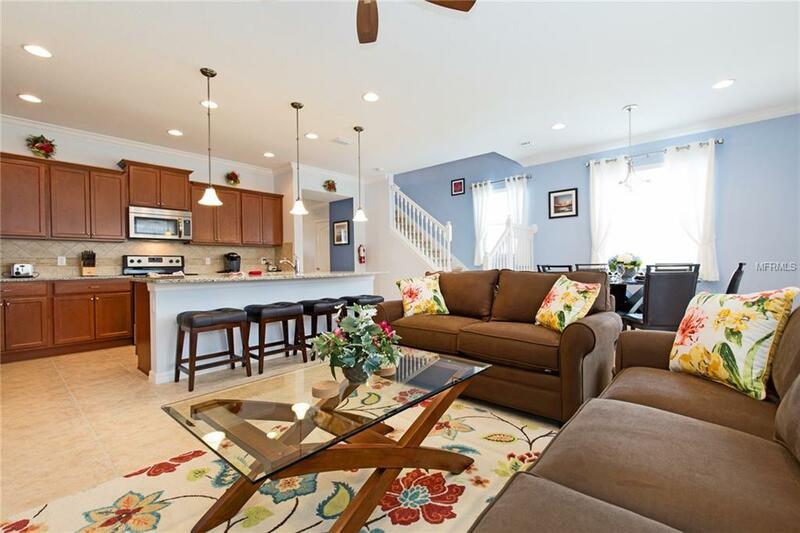 A great opportunity to purchase this beautifully located 5 bedroom 4 bath vacation home, with the option to purchase the installed comprehensive furniture and equipment package, making the home turnkey ready. Enjoy proximity to world-class attractions, the famous Florida sunshine, and abundant shopping and dining. 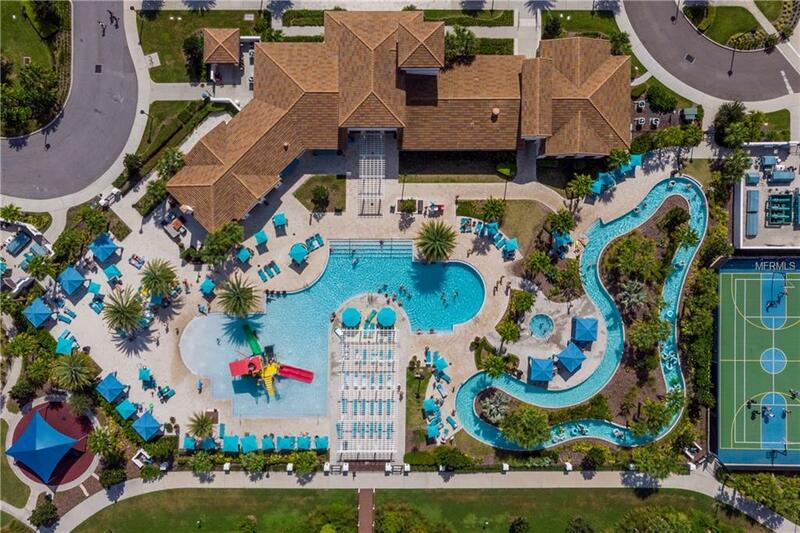 Occupying an early prime location in this 5 star community, this end unit property has the advantages of open green space to the side and easy walking distance to the fantastic clubhouse and community facilities. 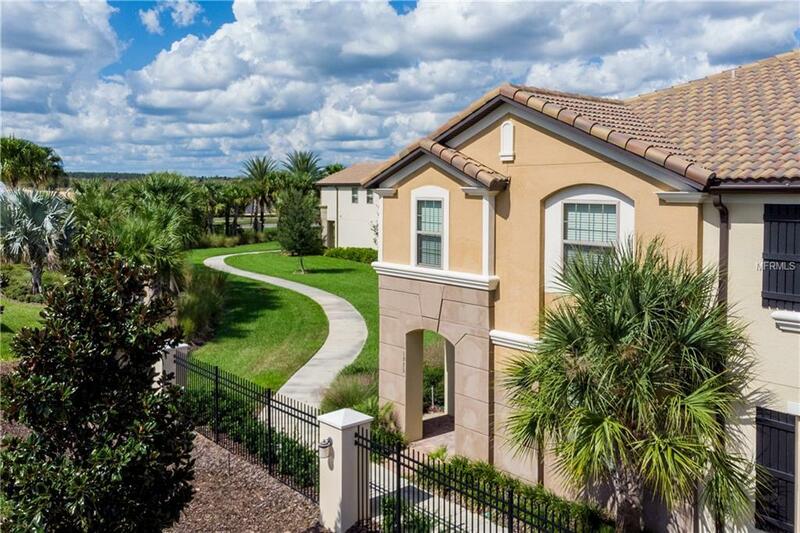 The spacious 2 story layout provides luxury, open plan living, granite counter tops, stainless steel Whirlpool appliances and a flexible bedroom layout. The living room at the rear of the home, opens directly onto the spacious lanai and screened private pool with brick paved deck. The spacious master bedroom and three others are on the second floor arranged around a central gaming and TV loft. Quietly located at the front of the home on the ground floor is a Queen en-suite bedroom. The garage has been converted to a game room and the optional equipment package includes air-hockey, Foosball and darts. Property comes with existing bookings through current management company. 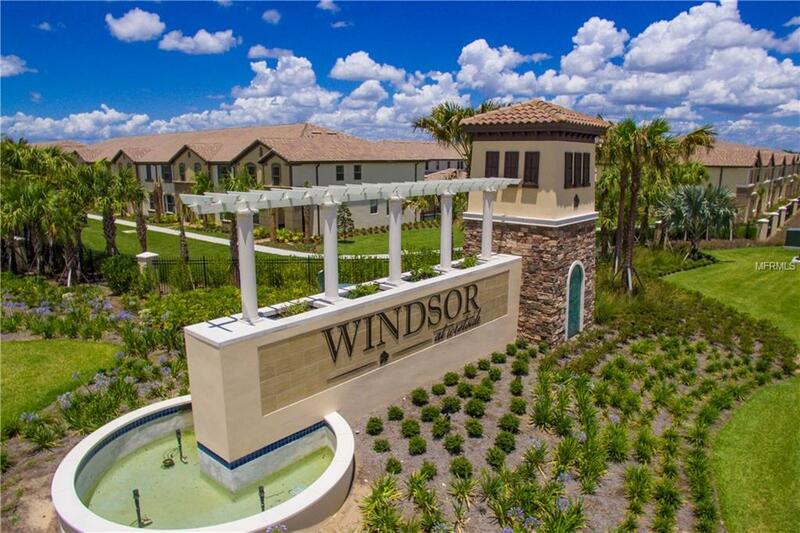 Windsor at Westside has become one of the most popular vacation home destinations in Central Florida. This is an opportunity to acquire one of the best located homes in the community without building delays or being surrounded by construction. Listing provided courtesy of Signature Florida Realty.